On this International Day of Forests, we want to highlight how much these statements resonate in the world’s largest wood producing region – the Southern US – where forest cover loss from large-scale industrial logging is four times greater than South American rainforests. Healthy intact forests provide critical life-supporting services like ensuring a steady and clean supply of drinking water, purifying the air, providing natural flood control and creating a space of beauty for spiritual renewal. Recent scientific studies have also underscored that letting forests grow to soak up carbon out of the atmosphere is as essential as getting off fossil fuels to avoid catastrophic climate change. Put simply, the well-being of people is inseparable from the health of forests. Logging rates across the rural communities of the Southern Coastal Plain are among the highest on the planet. This expansive economic exploitation has left our forests and our rural communities in a degraded condition, disproportionately impacting low-income people and people of color. 90% of the rural, black population in the U.S. is concentrated in the South in what has been coined the “Black Belt.” Within the Black Belt are some of the poorest rural counties in the nation. Across this rural landscape, tens of millions of acres of natural forests have been displaced by single-species tree plantations sprayed routinely with toxic herbicides and fertilizers. Remaining natural forests suffer ongoing degradation from logging. What were once large expanses of old, intact forests have been largely reduced to a patchwork of clearcuts, pine plantations and degraded, commercialized forests. 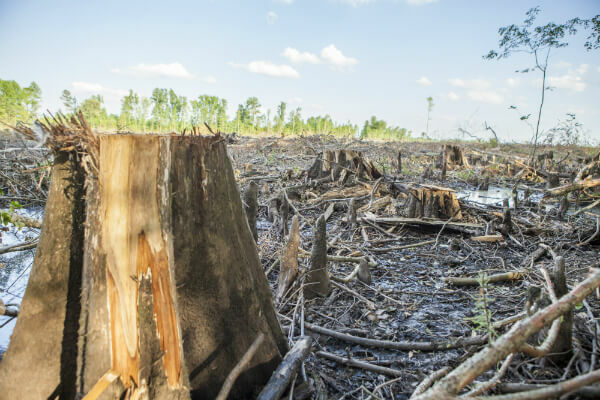 The industrialization of forests in the Southern US has degraded biodiversity, carbon sinks, natural flood control and other critical life-supporting services that forests provide. Equally as important is how this long history of land exploitation impacts people – particularly the affected communities living in the impact zones. 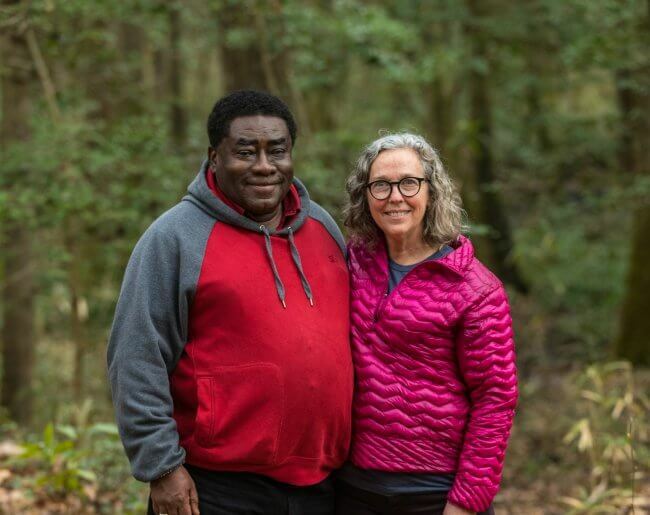 While corporate executives and many landowners have acquired significant wealth from logging forests, rural communities living on the front-lines of the destruction have some of the highest poverty and unemployment rates in the country. For the record, black Americans own less than 1% of the rural land in the South yet make up a majority of the population in many of the Black Belt rural counties. Along with a degraded landscape, these rural communities are overburdened by pollution from nearby paper mills, toxic waste dumps, coal pollution, and some of the dirtiest industries of the modern industrial world. Tax breaks for logging and other destructive industries hurt public funds that would otherwise go to schools, health care and other critical social services that support community well-being. At the same time, the Southern region is bearing the brunt of the impacts of climate change in the US, primarily due to flooding from recent extreme weather events. Low income communities and communities of color living in rural areas are among the worst hurt, often lacking resources to evacuate or make ends meet until they can get back to work. It is an injustice that those who benefit the least from destructive industries bear the brunt of the impacts. Recently, front-line communities, climate scientists, and faith, environmental, and justice organizations have united in opposition to a rapidly expanding wood pellet export industry across the Southern US. Over the past few years, the South has become the world’s largest exporter of wood pellets to fuel power stations in Europe under the guise of “renewable” energy. The wood pellet industry is touted by industry and government as providing “green, renewable energy jobs” despite scientific evidence that burning trees for electricity will accelerate, not mitigate climate change. Local communities are pushing back, concerned about more air pollution, dangerous truck traffic and other detrimental community impacts. While forest landowners may benefit, rural communities broadly haven’t seen economic prosperity follow in the wake an ever-expanding forest industry. At a time when coastal communities of the South are experiencing some of the worst effects of climate change from flooding, destroying forests along rivers to feed global markets has sparked a new conversation about the connections between a long history of land exploitation and its disproportionate negative impacts on low-income people and people of color living in rural areas across the region. There is simply no evidence that the industrial-scale logging of forests has contributed to creating vibrant, thriving rural, Southern communities. Meanwhile, the value of standing forests along the rivers for things like clean drinking water and natural flood control are estimated to be fifteen times greater than their value for wood products. 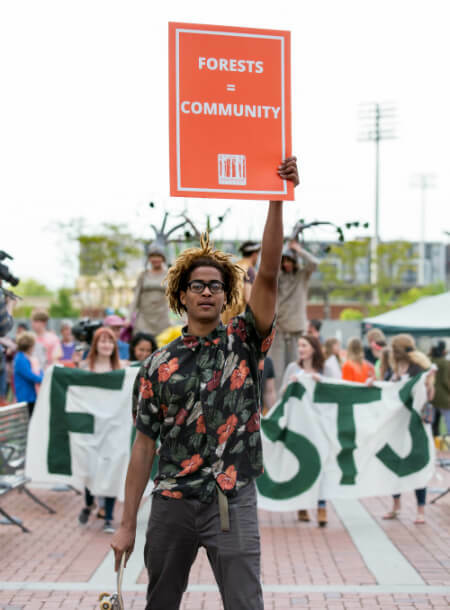 In the same way we need a just transition away from resource extraction in the coal fields of Appalachia, there is growing recognition that we need a just transition in the forest economy of the Southern Coastal Plain to one that values the community benefits of standing forests. An emerging diverse movement across the South working at the intersection of forests, climate, and justice is focused on a new vision for the region — a just transition to truly 100% clean, renewable energy and a new forest economy that supports landowners to keep more forests standing, creates healthy jobs for low-income communities and communities of color and ensures that everyone has a beautiful and healthy place to live, work and play. At the heart of this movement is a recognition that we must put justice first. It is simply not acceptable to continue to put low-income people and people of color on the front lines of a destructive economic system that continues to concentrate power and wealth into the hands of a few while destroying our life support system. We must right the wrongs that have not only destroyed our forests, climate, air, and water but also placed the burden on vulnerable communities that have suffered the most. By restoring the forest (as well as the air, water and climate), we can restore our communities, our relationship to each other and our morality. We can provide for everyone’s needs, but not if we do not eliminate greed. It’s time to unite behind a vision for a new economy that values life above profits and that creates equitable opportunities for all. This is great. It sounds like you are looking to join groups together… Do you know about CELDF (Community Environmental Legal Defense Fund)? Seems like some overlap would be good to connect, if haven’t already. Yes! I know Tom Linzey, the Executive Director of CELDF, from many years back when he was helping Dogwood. I will absolutely be connecting with him!